Sales management or being a manager of a sales team could be described as leading people to higher levels of achievement to deliver company growth while implementing the sales process the company uses to target prospects and convert them to paying customers. The starting point to managing a sales team is not with the sales team but with ourselves whether we are a sales manager or sales director. The reality is that to successfully manage and build a high performing sales team, the sales team needs a high performing sales manager. To manage the sales team to high levels of performance, the sales manager needs at a minimum the following four competencies: (1) general business and market acumen, (2) ability to deliver effective coaching, (3) strong leadership skills and (4) evaluating and communicating individual salesperson performance. Sales managers who build on these core competencies are on the right track to managing the sales team. In today’s highly competitive market with longer sales cycles and maybe smaller sales values, for a business to successfully sell their products or services, the sales leader needs to have these competencies to effectively manage and lead the sales team. The sales manager responsibilities also extends so that the sales team not only understands the sales objectives but the company’s overall strategic direction. It is about managing the sales team so they want to fully apply themselves to their roles and maximise their selling skills to sell solutions to customers. Walk the job: As a sales manager, you need to allocate the time to work closely with your team so that you develop an understanding of each person’s motivation, strengths and weaknesses. This walking the job and communication will over time help a sales manager to put the right salesperson in the right sales role (hunter, miner, and farmer) that best suits the requirements of the sales process. A sales manager needs to organise the sales teams so that there is a range of different people bringing a range of different skills and experiences to the business. 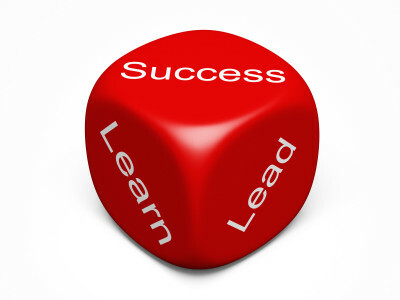 Control: A sales manager can only control the outcome if they control what the sales people do! A balanced approach to managing sales people is about mixing activity based management with results based management. This is also known as Task V Individual in management schools. “Activity based management” is about giving the direction and coaching on the sales process and ensuring the associated activities get done. This could be coaching and educating sales people how many calls to make, how many appointments to set, what suspects to call, which products need to be pushed, etc. The activities or tasks may be set by senior sales management or by the sales manager to assist the sales people to take ownership in managing their own sales business. The “Results based management” aspect for a sales manager is to focus on the individual sales member’s goals, actions and target results. It is about giving the sales team ownership and the ability to approach a sales process or task that suits their style. If a sales person likes to make a LinkedIn introduction prior to a sales call, then fine. This is about asking the sales person what their plan is to hit the sales target or what their personal goals are for a given sales period. Don’t be afraid to listen to the sales team’s views or insights on getting the desired results. It gives them freedom and shows you value their input. If a sales manager gets the balance right between Activity and Results based management, sales teams realise their manager is leading them somewhere (bigger earnings, recognition, promotion, job enjoyment). The Sales Managers “Playing Lines”. Sales managers should set playing lines at an individual sales person level, they are at their widest when a sales person is delivering the agreed results, and the playing lines are at their tightest when the results are not there. Playing lines represents how much scope (weekly rather than daily reports, less drill down on the pipeline or forecasting, reduced focus on the activity etc.) a sales person has earned from the sales manager when they are hitting their targets or results. If the results are there then the sales person enjoys the wider space in which to perform and be successful. The only things outside the playing lines are items such as company policies, human resources issues, unethical behaviour or actions that could affect the sales team. The sales person understands they have a level of autonomy earned from the sales manager due to past performance and can only be retained by continuing to perform. The flip-side is if the sales results start to suffer or the numbers are not coming in, then the playing lines start to narrow. When the lines narrow, activity based management or task dominates. Now the sales manager needs to work the basics with the sales person bye spending more time challenging approaches or activities. Ask more questions. Deeper drill down into the metrics and status updates. The sales person still has the space to determine their own plan, just not as much. If over time, results are still not achieved and progress is not made then the playing lines will get even tighter to the point of performance management. The playing lines concept is a great method to have a consistent approach to all sales team members with the ultimate goal of having all your sales team members operating within the widest lines of responsibility. Quick sales management tip: Want to boost your sales team performance? It may sound simple but get the sales team spending more time selling. Managing a successful sales team requires the ability to get the sales team to spin the plates that matter. A few more tips for managing a successful sales team. Create the space to let them do what they do best. Sell! Give them recognition and constant feedback. Always remember, in sales management it is not just about the final sales numbers. As any high performing sales manage will testify, you need the business acumen to know that the sales pipeline needs to be constantly filled and kept filling via sales activities, and this requires the competencies of a proper sales manager. In order to maximise the revenue of the sales teams pipeline, the sales manager needs to be able to analyse what actions and activities are working, and what is not then prioritise tasks. A high performing sales manager will always focus on the realities in the sales process of what works for the company and the sales team. As written about earlier, managing a sales team is a balancing act. Clear guidelines on the “playing lines”, sales role definition and time spent on sales analysis can help sort the “what’s wrong from the “what’s working”. Strive to create the space to let the sales team do what they do best– sell the product. By working on the sales manager’s competencies and focusing on the sales process, a sales manager can enjoy watching the sales team thrive as a result of having earned a widening of the playing lines which will drive bigger revenue streams to contribute to company growth (not to mention your career).